Happy Birthday OB Rag! 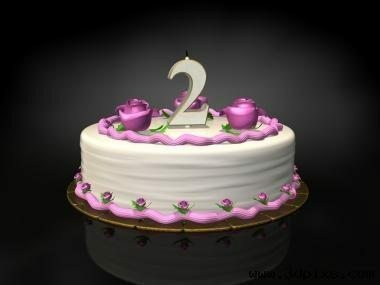 Today is our 2nd anniversary! OCEAN BEACH, CA. It has been a crazy two years since Patty Jones and I started this here blog. Now, we’re no longer even a blog, but a website. October 25th, 2007, right in the midst of the 2007 fires, we posted our first articles – about the fires – one was on whether “mandatory evacuations” were any good, and the other was a critique of local media coverage of the fires. This Blog was first initiated by Frank Gormlie and Patty Jones in late October 2007 to ply the San Diego scene with news and commentary from a distinctively progressive and grassroots perspective, and to provide a forum for those views. We also wanted to provide some kind of web platform for the Ocean Beach community. From our beginning, we had a few writers who had joined us, in particular Jon Christensen, Michael Steinberg, and Gregg Robinson. Our good friend and photographer, Jeff Stone, has also contributed numerous photos. Rick Nadeau had been writing for us, as well, but passed away, sadly, after a fight with cancer, on November 20th of 2008. More lately, we have been joined by Doug Porter, who now writes on a regular basis and who wrote for the original OB Rag back in the seventies, by Lane Tobias – who has his own blog – and by Anna Daniels, who is active on city-wide issues. Starting the Spring of 2009, the blog has been graced by the writings of a whole new wave of community bloggers, including Dave Gilbert, Wireless Mike, Mary E. Mann, Jon Carr and Gary Gilmore. When we started this blog, we were disgusted with the state of things: the wars in Iraq and Afghanistan, a bellicose and war-mongering President Bush, a Constitutional crisis, the environmental and global meltdown, as well as local corruption and government incompetence on all levels. We believed then and still believe now that things can and should be a whole lot better. Things have changed since we first started blogging. We supported the candidacy of Barack Obama for President, and we celebrated with champagne and tears the night he was elected. But our eyes are not shut. We understand that we will need to keep pressure on President Obama, to keep on him to live up to his promise of hope and change. When we first started this blog, we felt that we needed “to rebuild a sense of community, not only on the neighborhood level, but also amongst those of a kindred spirit.” We have expanded our circle of friends and readers, as we have a solid base of Ocean Beach readers, a San Diego, national and even international audience (see our Cluster Map on the sidebar). We have nearly 1,000 names on our email news and support list. And at our year anniversary – late October 2008 – we have a daily visitor average of over 250. As of Spring 2009, we have an average of 350 to 500+ visitors a day. On April 14, 2009, we had our best day ever with 660 visitors. That was then, this is now: our best day currently was September 16, 2009, when we had 1,919 unique visitors. Our best month was July of 2009 where we hosted nearly 23,000 visitors. On a daily basis, we average between 600 to 800. So you can see our progress. Plus we’ve just started taking on advertisements and sponsorships (see our side-bar). We’re a business, with a bank account, a fictitious name, and a PO Box right here in OB. With mainstream media becoming more and more monopolized and centralized, there is a need for information and opinion outside the corporate media monolith. Blogs are helping to fill this role. Like during an earlier day, when underground newspapers filled the void, blogs today enable grassroots journalists and commentators to counter mainstream propaganda. Thanks to all who have helped us on this journey. To all those who have bought T-shirts, old Rags, advertisements and sponsorships, and to those who have just sent the green stuff never expecting to be paid back – we will always feel this gratitude. Plus we must thank our wonderful readers who have kept us afloat. And a special thanks to Patty Jones – who is currently recuperating from her neck surgery this week. We could not have done this without her. You would not be reading this right now if had not been for Patty who brought her tech and computer and blog skills to bear for the OB Rag. Happy birthday to the OB Rag! Good to know you are still around Frank! I came upon this blog via my search about the San Diego Street Journal. What a great surprise! Hope the Rag continues. Congratulations on your birthday and kudos for your blog. It sets a very good example with its style of keeping people informed and engaged in OB and San Diego community affairs. No doubt the media are paying attention to how you manage to attract such high-quality interpersonal interaction from your readers as well. Keep up the good work! Happy Birthday! Always a good read! Thanks for two years of great work–work that’s valuable to all San Diego communities–and for keeping up a decades-old tradition of progressive alternative media. Keep that voice strong. Great Job….I enjoy the local spin on events. Small town America at it’s best where is Opie ??? really proud to be a part of something like this; the ob rag is representative of the future of alternative, grassroots media. In the past, words like alternative and grassroots meant “small audience”. But I think the community being built here is a lot bigger and more important because of our focus on the news people want – being delivered in an interactive, user friendly way. Thanks everyone for allowing us this self-congratulatory moment.